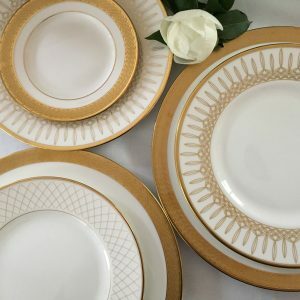 Mix and match your China patterns to create an interesting tablescape. This works equally as well with disposable place setting as it does with fine china. Have fun, it’s a party! 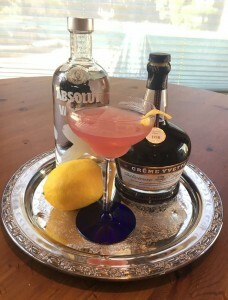 Last week’s cocktail was a tribute to David Bowie, this week honors another British singer songwriter Nick Drake, the Pink Moon – my own spin on the classic Blue Moon cocktail this floral concoction blends the violet and berry flavors of Crème Yvette with Absolut Vanilia and a touch of citrus for a perfect spring blend. Fill a shaker with ice and add Absolut Vanilia, Crème Yvette and Fresh Lemon Juice. Shake well. Strain as you pour into a chilled glass. Garnish with a Lemon Twist.